Russians are increasingly more often paying for groceries using their smart phones, according to a research conducted by Alfa Bank and Svyaznoi Euroset. The number of purchases paid for with smart phones increased five times compared to 2017, with a total of around 133 mio transactions, Izvestia reports. Contactless payments reduce payment time by an average of 90 seconds. Widespread use of mobile devices makes purchases easier and safer. In the future, this trend may completely eliminate bank cards. Experts believe that the process has its disadvantages as well because people are spending more money spontaneously. In 2018, Russians bought 11 mio smart phones with embedded NFC that allows paying for goods and services by touching the device on the cashier terminal. The total worth of said smart phones is RUR 304 bio ($4.5 bio). 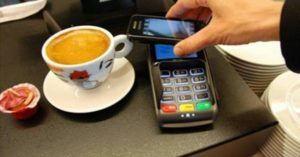 Customers continue to be interested in NFC this year, not only due to the simplicity and convenience of contactless payments but also due to the general trend, experts say.